I just couldn’t resist...It was all in the name. 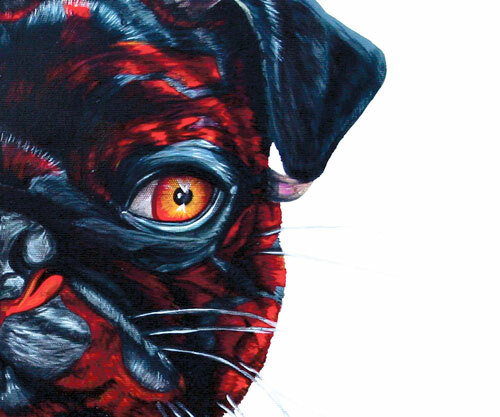 A simple but detailed mixture of a Pug and Darth Maul – A Phantom Menace of its own type. Referencing my past experience and relationship with one of my favourite childhood series of films, that blew my young mind watching it at a cinema in Chester after a day at the races. Later in my life, after the turn of the 21st Century, I spent two years working on the Official UK Star Wars magazine, comic and fan club.